Lockwood & Co. might be the smallest (some might say shambolic) Psychic Detection Agency in London. But its three agents - Lockwood, Lucy and George - are exceptional Talents. And they get results. When an outbreak of ghostly phenomena grows to terrifying levels in Chelsea, Scotland Yard is left baffled. Even more baffling is that Lockwood & Co appear to have been excluded from the huge team of Agents investigating the Chelsea Outbreak. Surely this is the perfect chance for them to show once and for all that they're actually the best in town? Well, that's if they can put aside their personal differences for long enough to march into action with their rapiers, salt and iron . 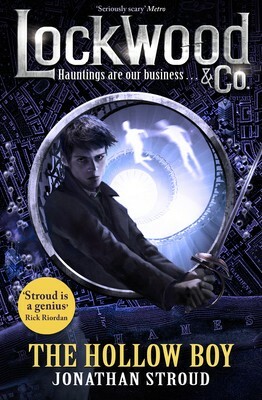 . . Ghouls and spectres, thrills and tension in this brand-new instalment in Jonathan Stroud's bestselling series. 'Stroud is a genius' - Rick Riordan, author of the Percy Jackson series. I cannot recommend this book highly enough - wish there were more stars to give.